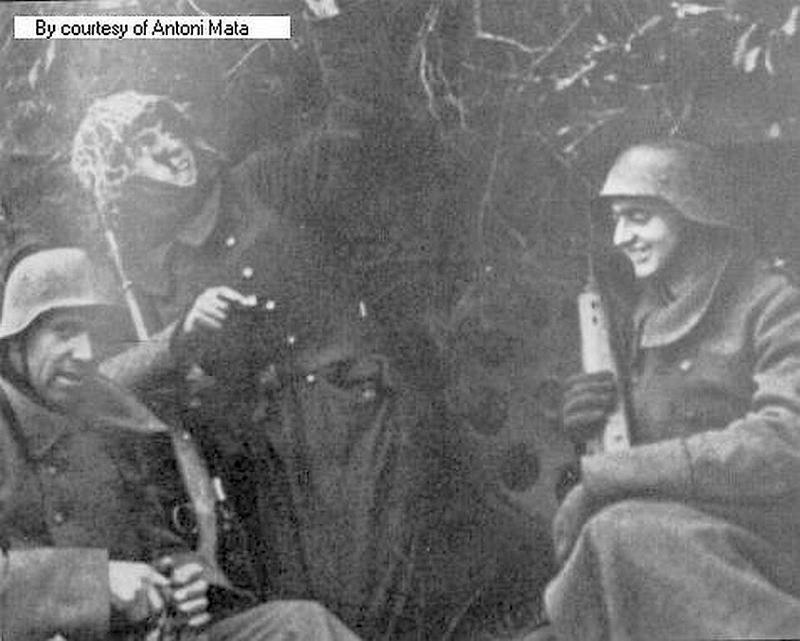 The following photos are the result of an extensive, ongoing search and represent, what I feel to be, a definitive collection of the publicly available G41 and G43/K43 WWII photos. Please contact me if you have any additions or corrections. I also welcome any and all comments. 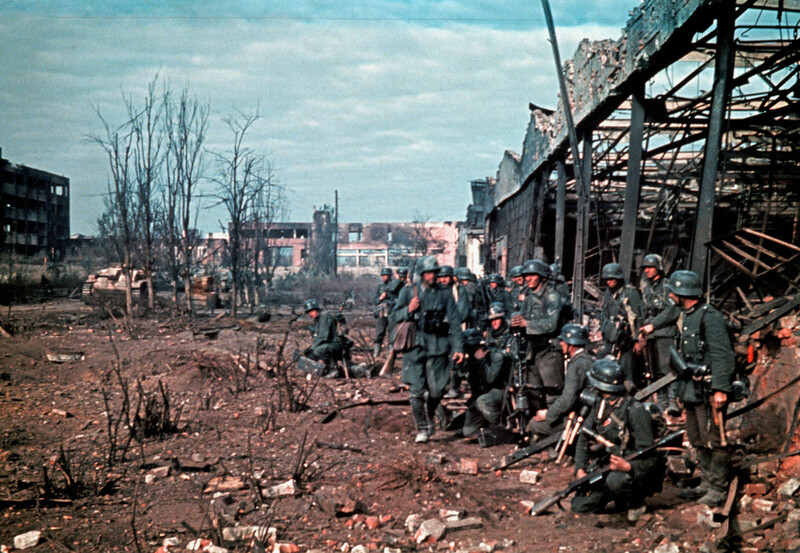 Soldiers preparing for an assault on a warehouse in Stalingrad, most likely in the later part of 1942. 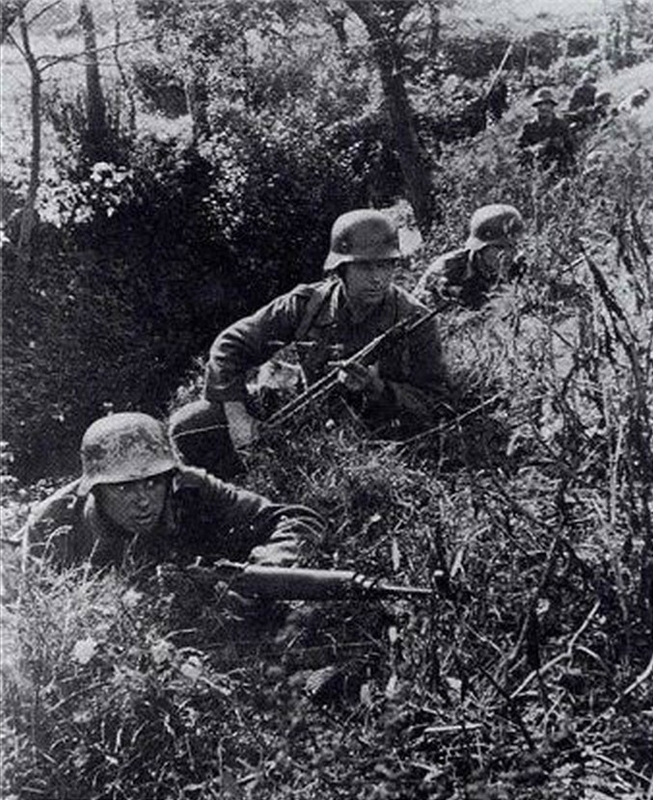 Soldier crouching at bottom right holding a G41(M). 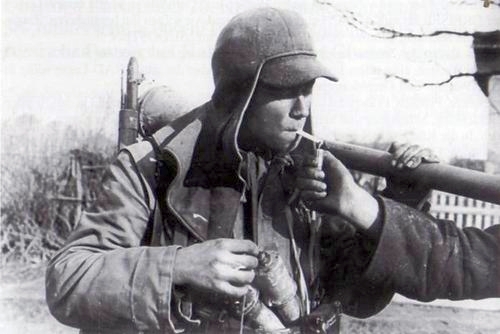 Italian soldier armed with the Gewehr 41 Walther (Walther) in 1944. 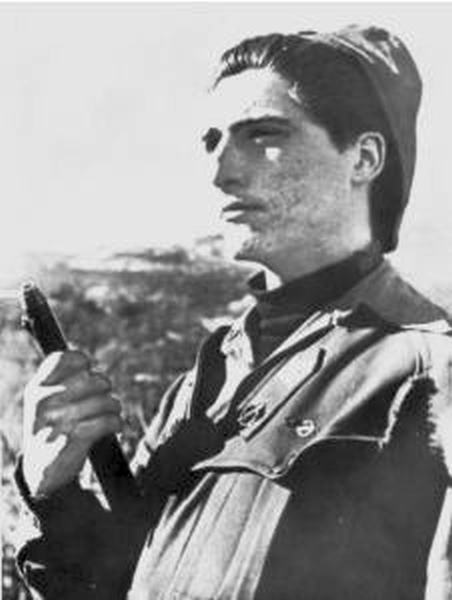 Italian soldier armed with a G41 Mauser (secondary bolt-action handle). 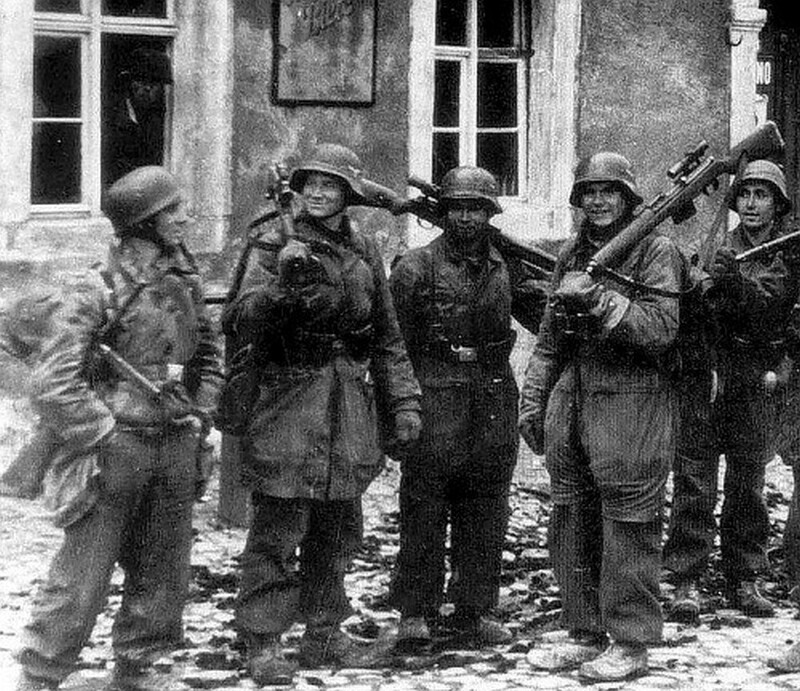 Soldiers of 17th SS Panzergrenadier Division Götz von Berlichingen with paratroopers of 6. 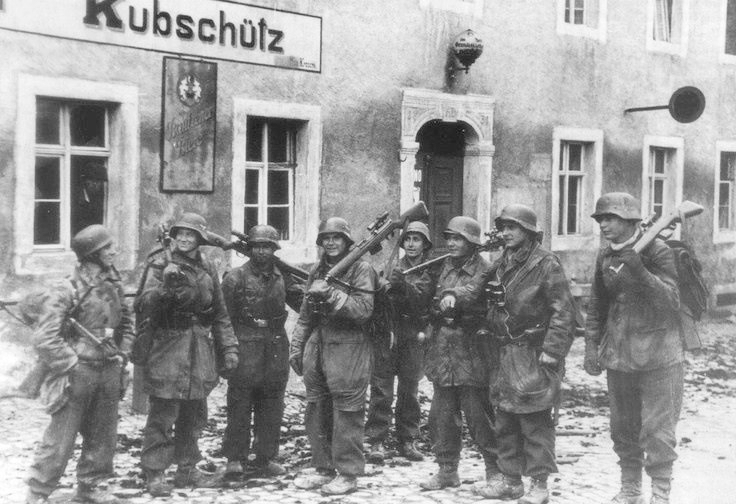 Fallschirmjäger-Regiment near Carentan, ca. 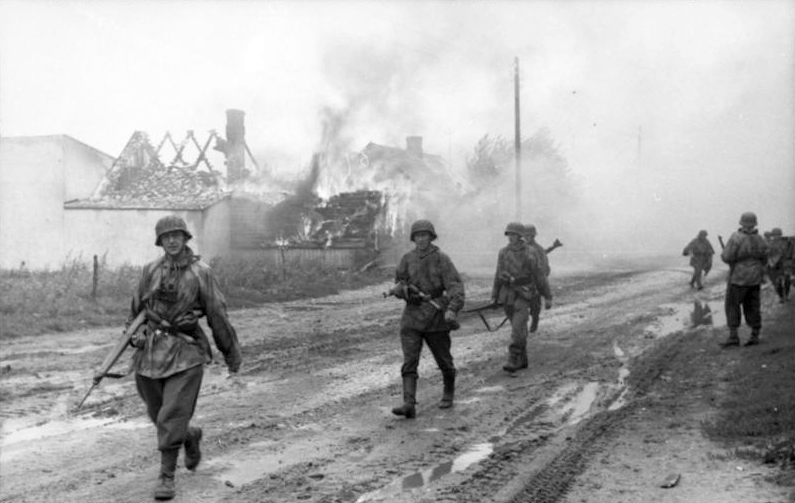 June 10, 1944. 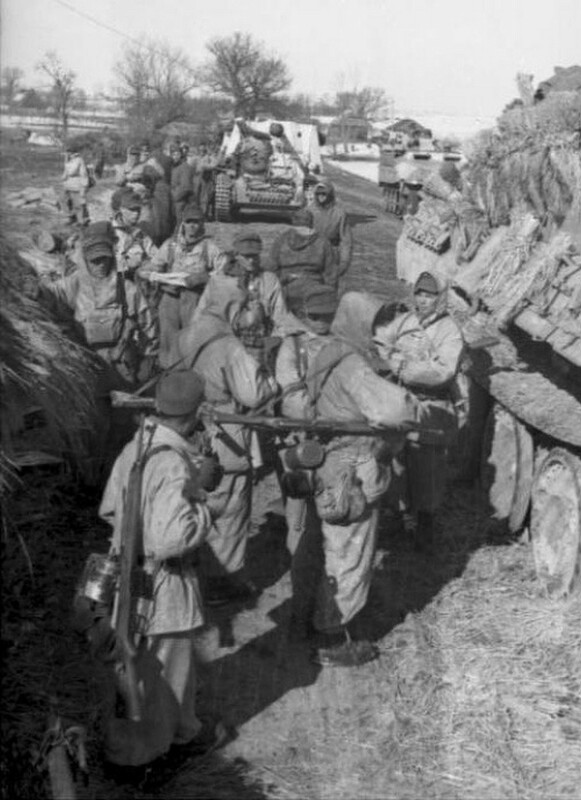 Soldier at bottom left is holding a G41. 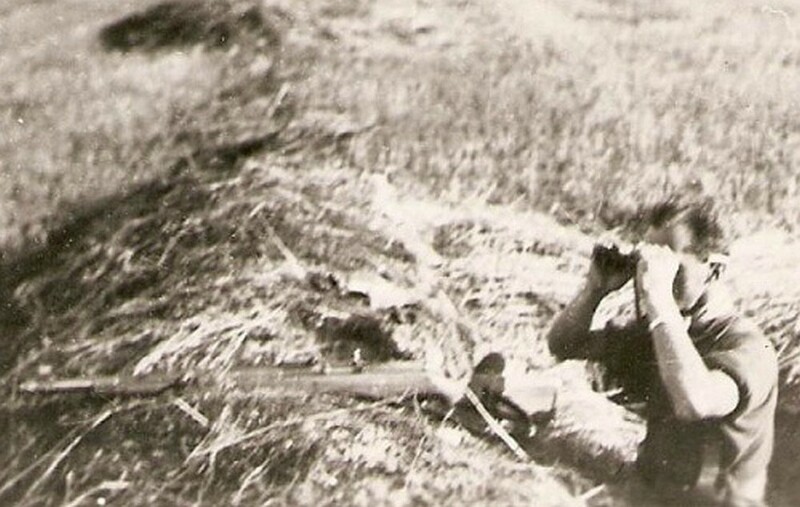 Soldier taking aim with a rare G41 Mauser (M) on the Russian front. 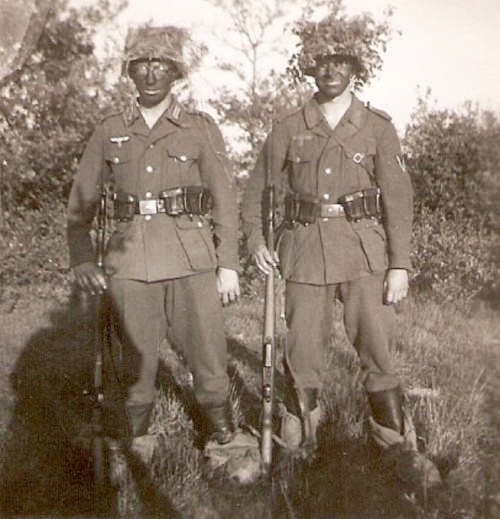 Two German soldiers with G41s. 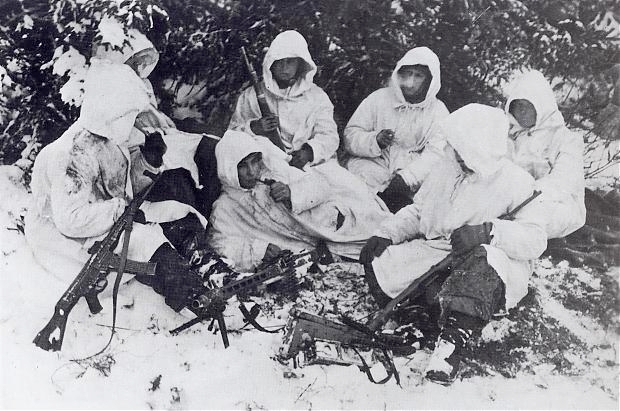 Soldier second from the right holding a G41 Mauser (M). 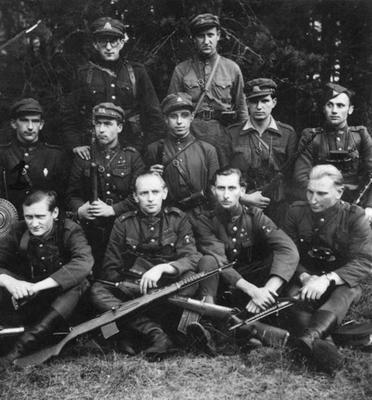 Note secondary bolt-action handle next to the third from the right soldier. 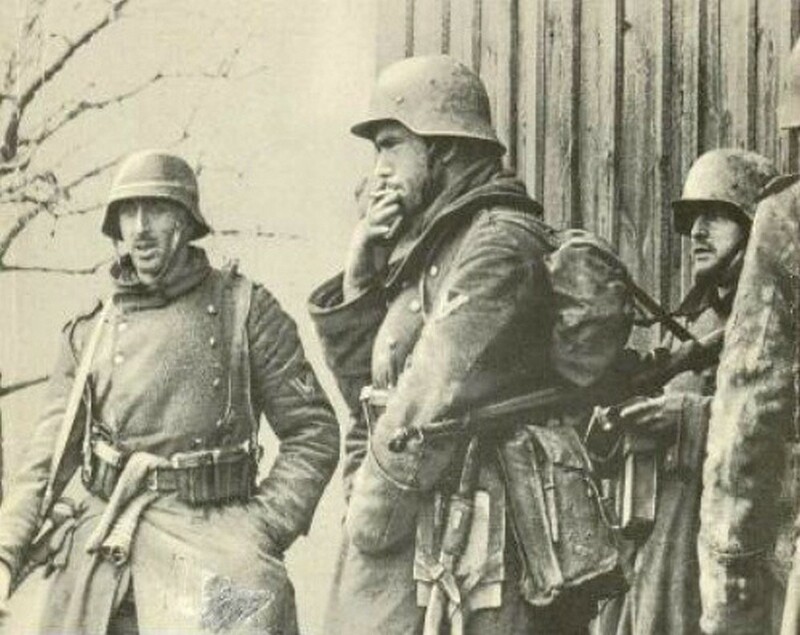 Soldier at right holding a G41. 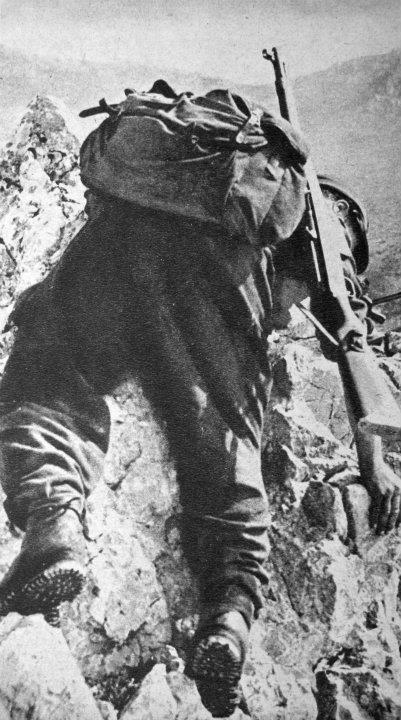 Italian soldier armed with the Gewehr 41 Walther in 1944. 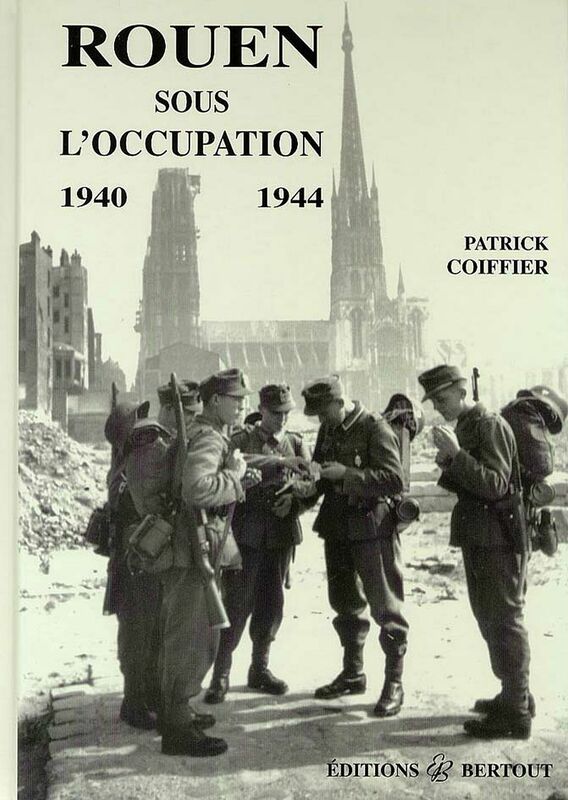 March 1944. This is a Walther (no secondary bolt-action handle). 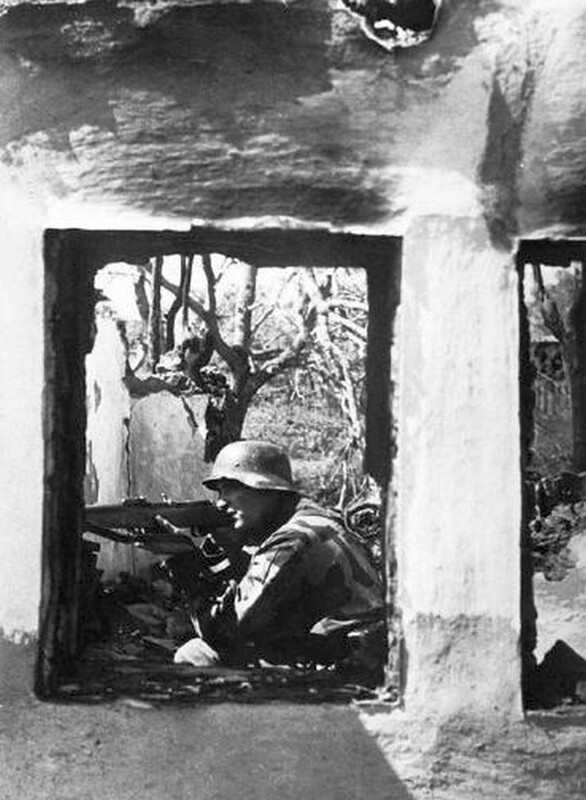 Franz Berg from Hamburg in Greece 1943. 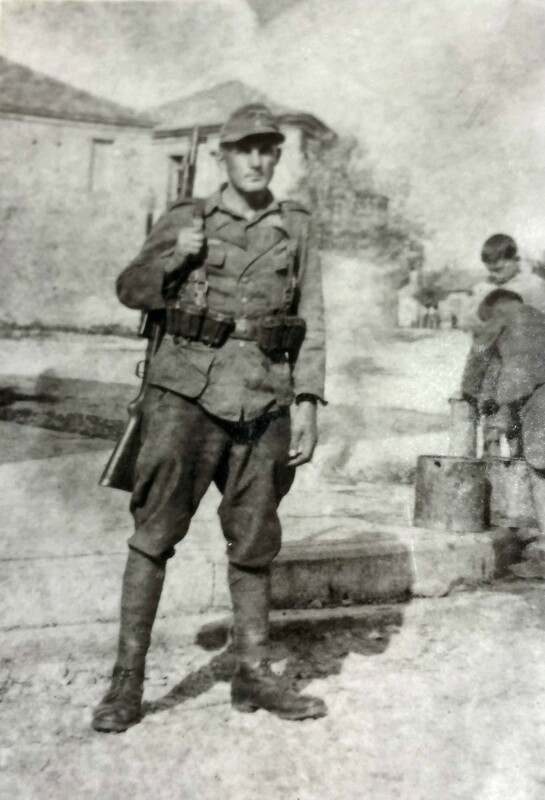 This soldier, who is also in the next two photos, did survive the war but lost his right arm to a sniper in Thessaloniki. 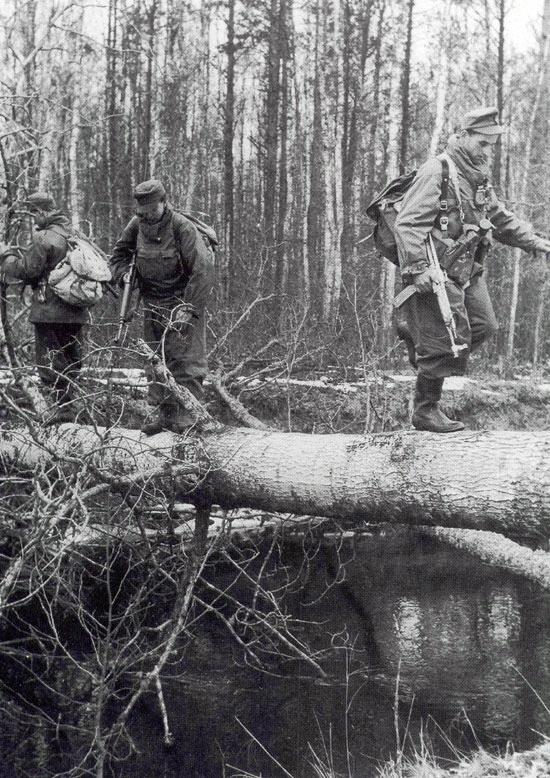 Bolt handle is visible at right. 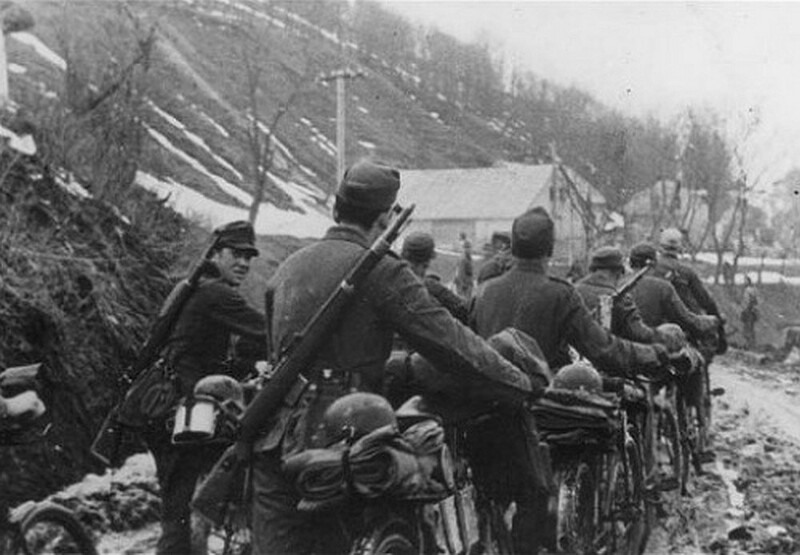 Bicycle troops with G41s slung over their shoulders. 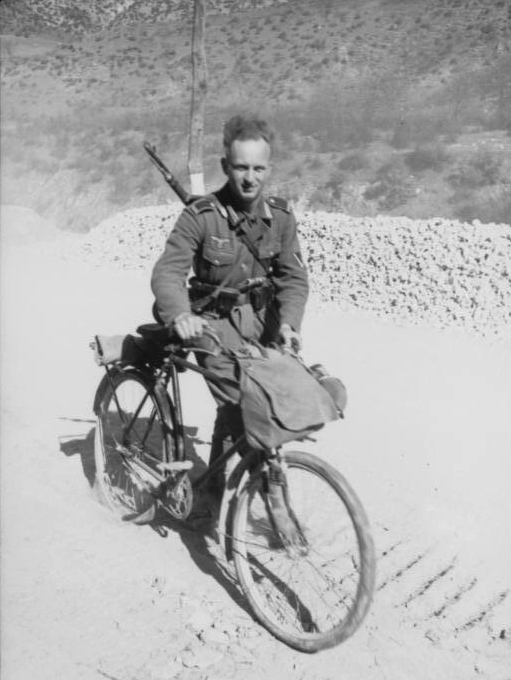 Soldier in Balkan Peninsula, 1941 carrying G41. 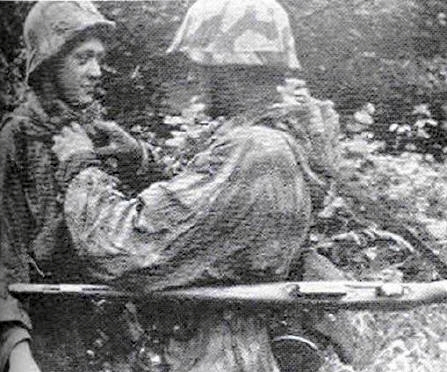 Fallschirmjäger obergefreiter (Airborne Lance Corporal) cleaning G41 in Saint-Lô, France 1944. 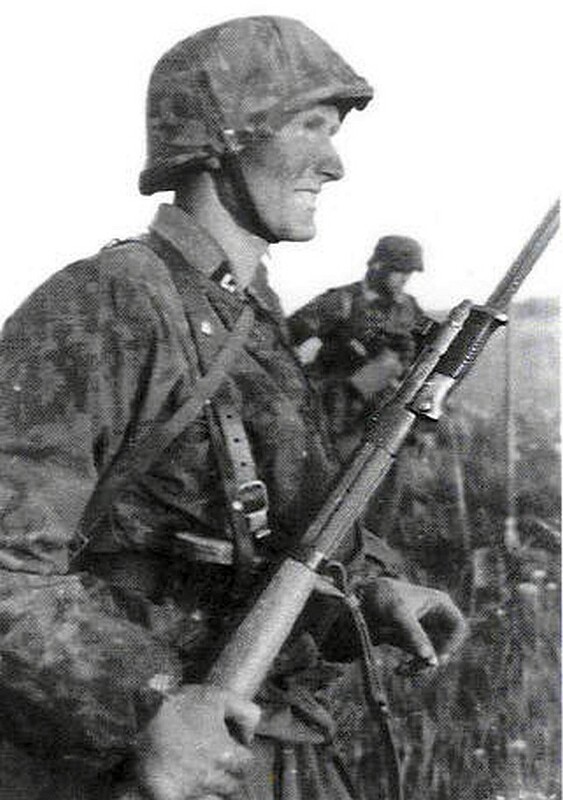 Waffen S.S. soldier armed with a Gew41 Walther with bayonet affixed. 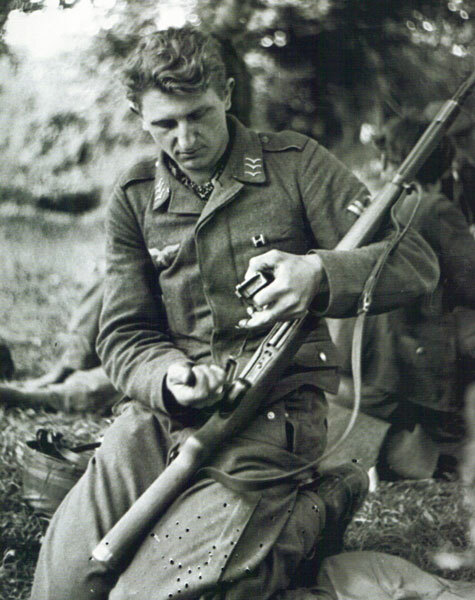 German troops inspecting a new Walther (no secondary bolt-action handle) Gewehr 41. 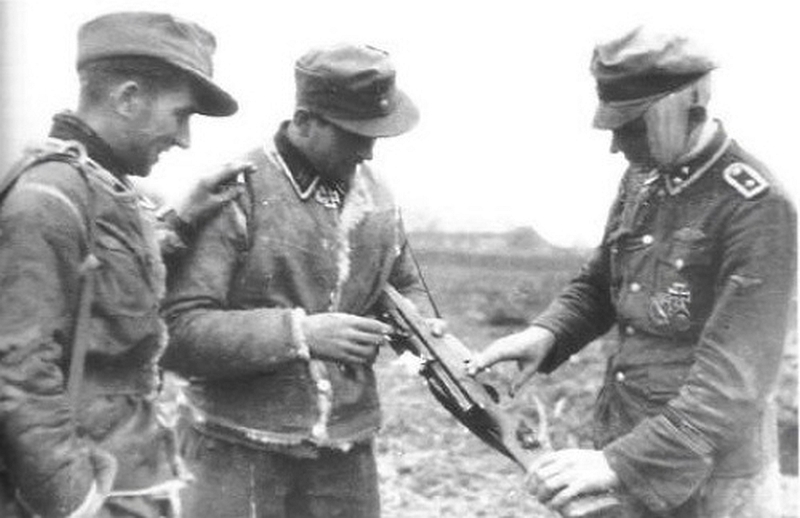 Canadian troops evaluating a captured G41 Walther (no secondary bolt-action handle) in Italy which looks to be of BLM origin. 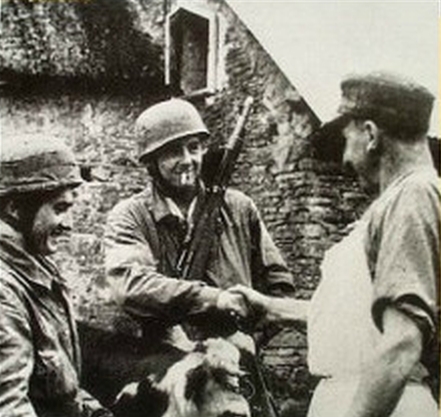 Fallschirmjäger troops in France getting some morning milk. 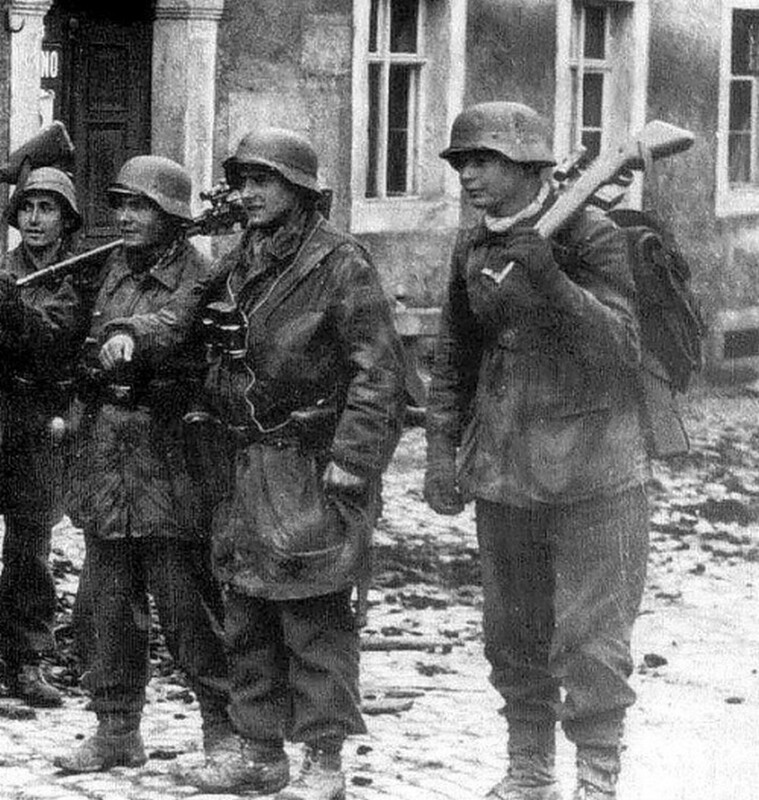 Soldier facing away at the left has G41 slung on his back. 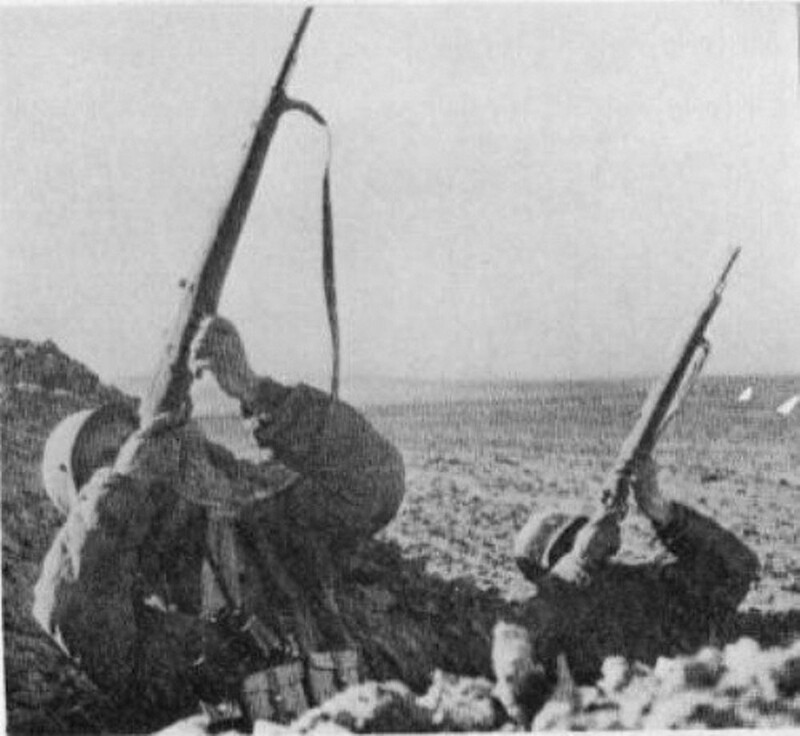 Note small bolt handle on right and no secondary bolt-action handle. 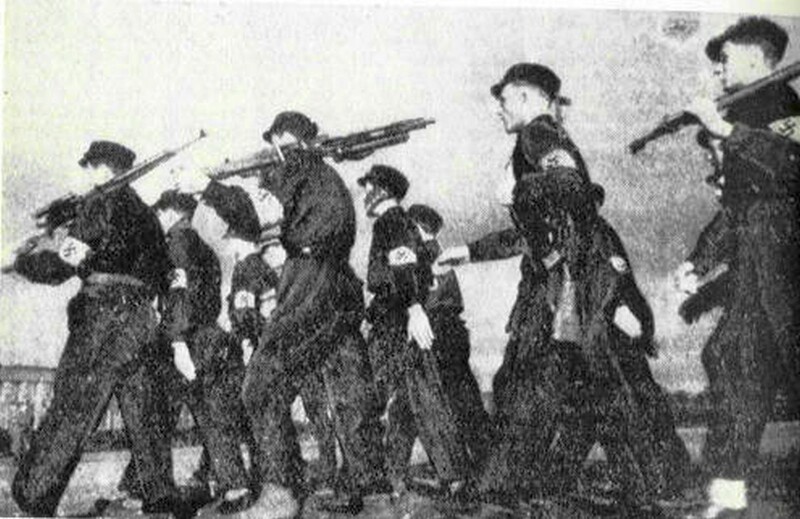 SS formation showing two groups of “stacked weapons”. 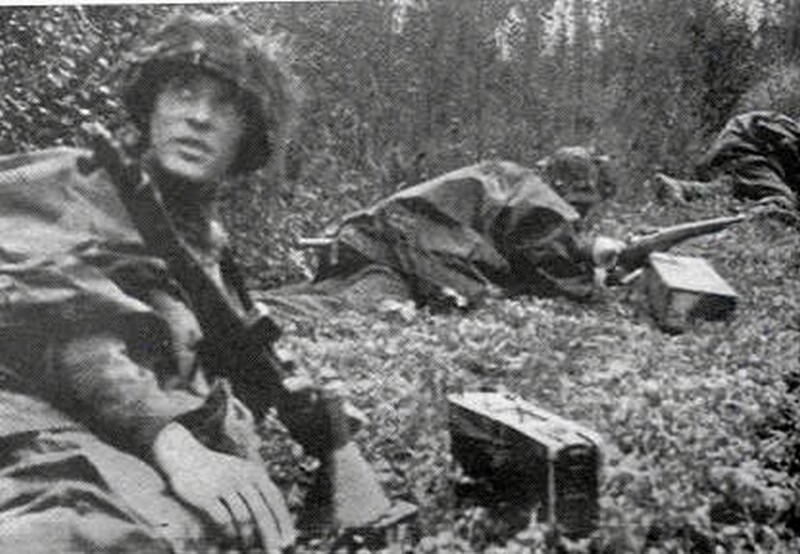 The rightmost group has a G/K43. 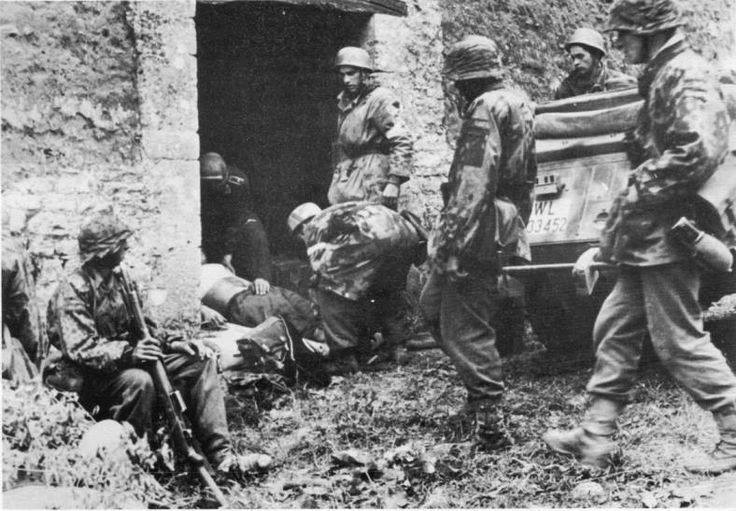 Soldier in at right has G43 propped on wall. 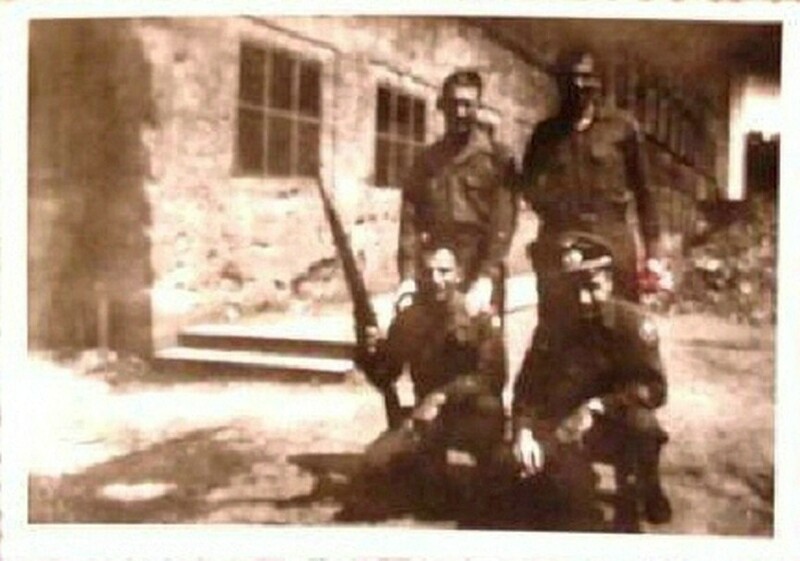 Photo taken sometime during August or September 1944. 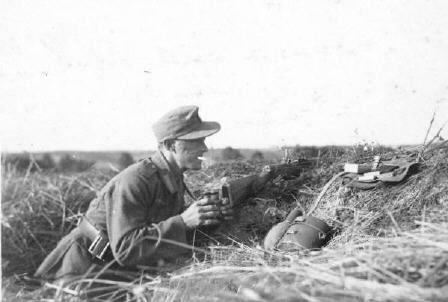 Lithuanian soldier with a G43. 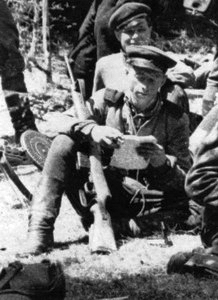 Lithuanian soldier at left is holding a G43 that appears to have an extended magazine. 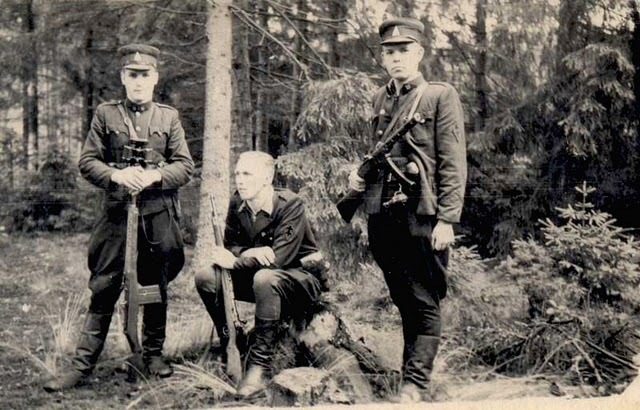 Second Lithuanian soldier from the left is holding a G43 that appears to have an extended magazine. 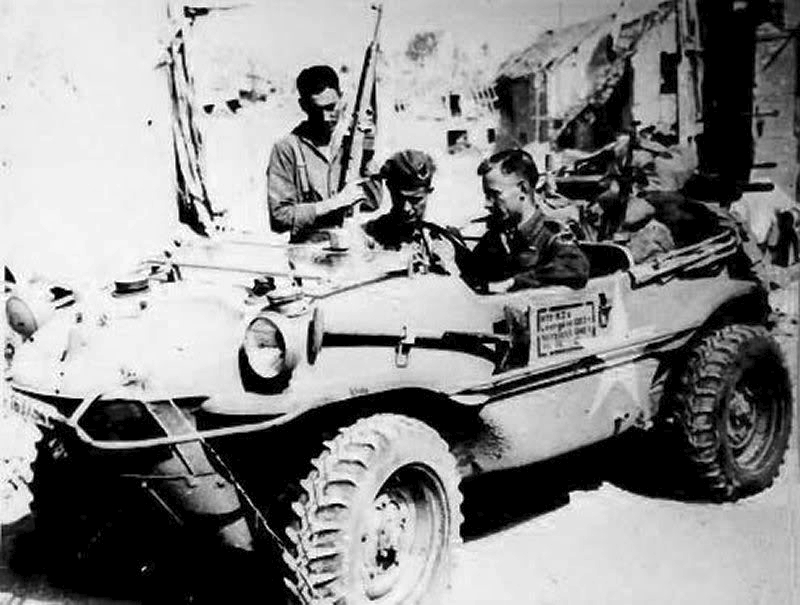 Canadian soldiers in a captured Volkswagen Schwimmwagen. 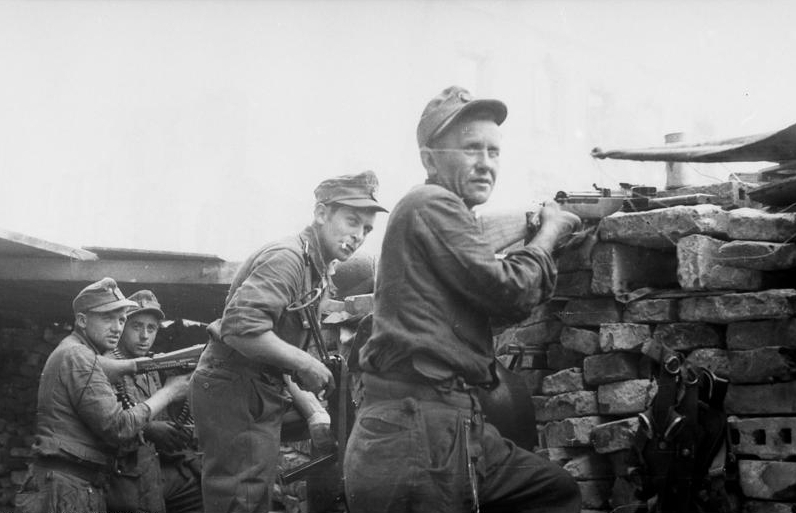 The soldier at the back left is holding a G43. It appears that there may also be a G43 behind the driver. 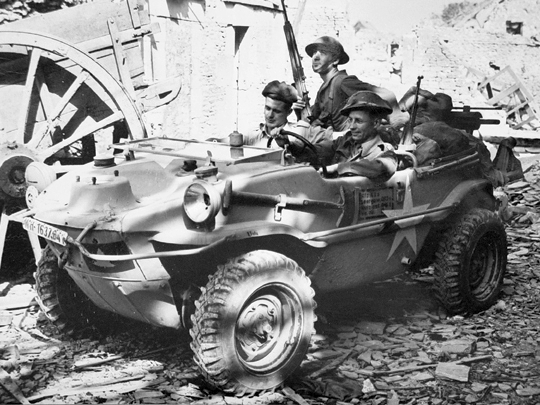 Canadian soldiers in a captured Volkswagen Schwimmwagen. 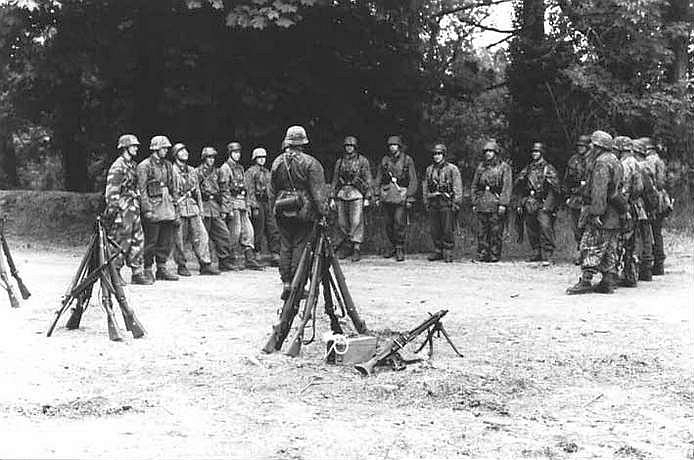 The soldier standing is holding a G43. 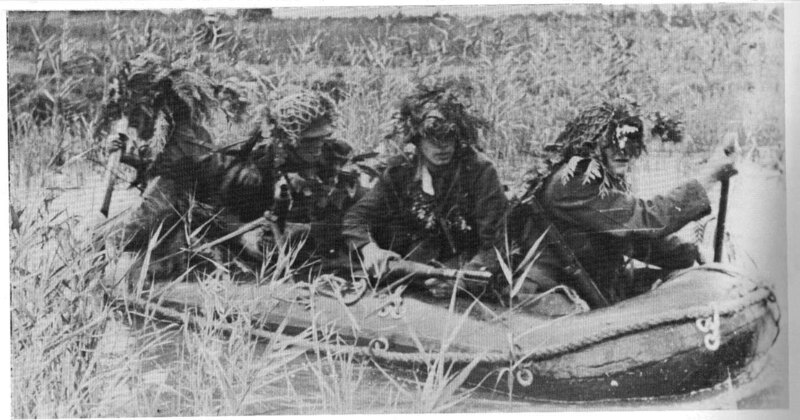 The soldiers appear to be different than those in the previous photo, but the vehicle and G43 may be the same. 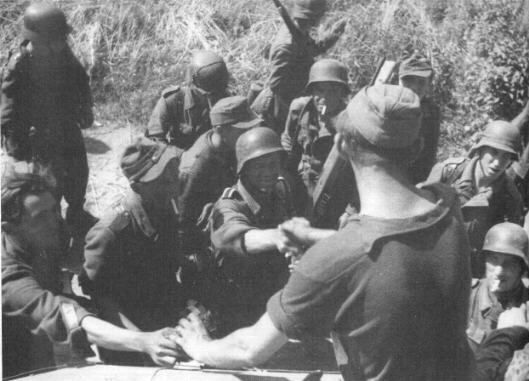 Soldier at far left holding G43. 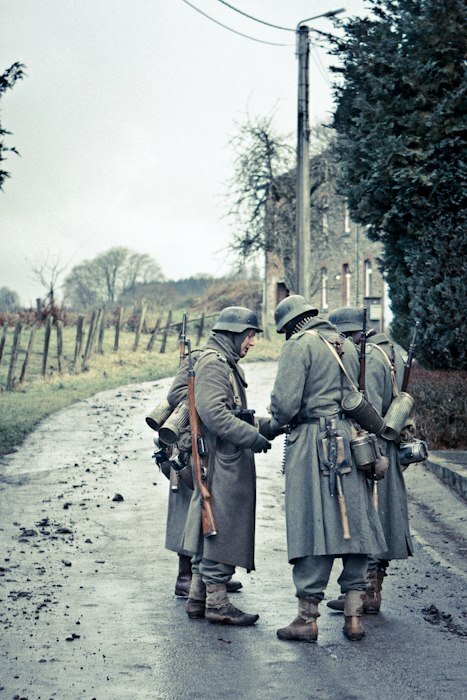 Two soldiers greeting each other. 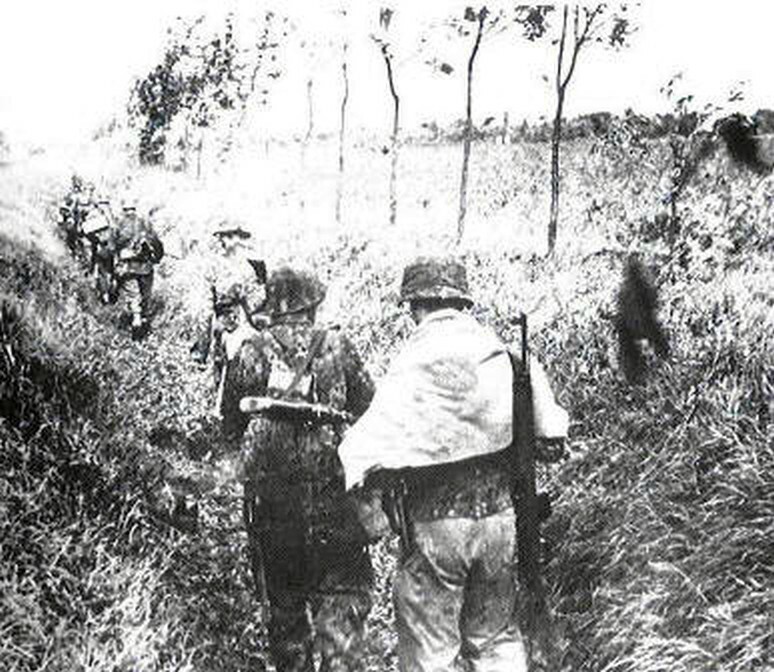 The soldier in the center of the photo is carrying a G43. 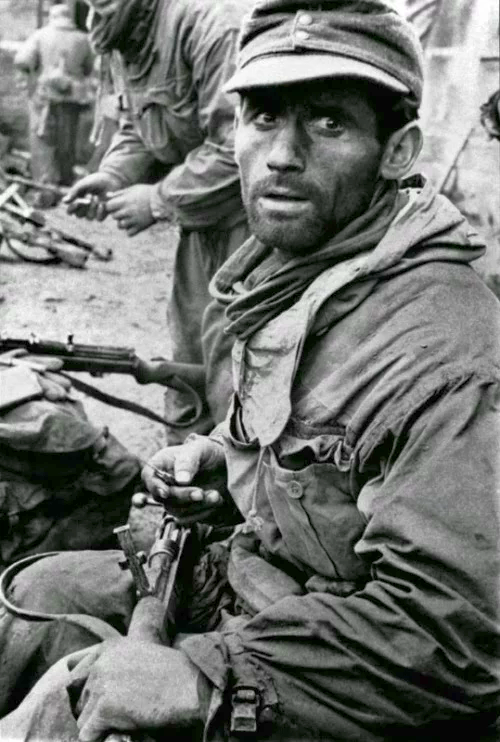 Note barrel just over his left shoulder. 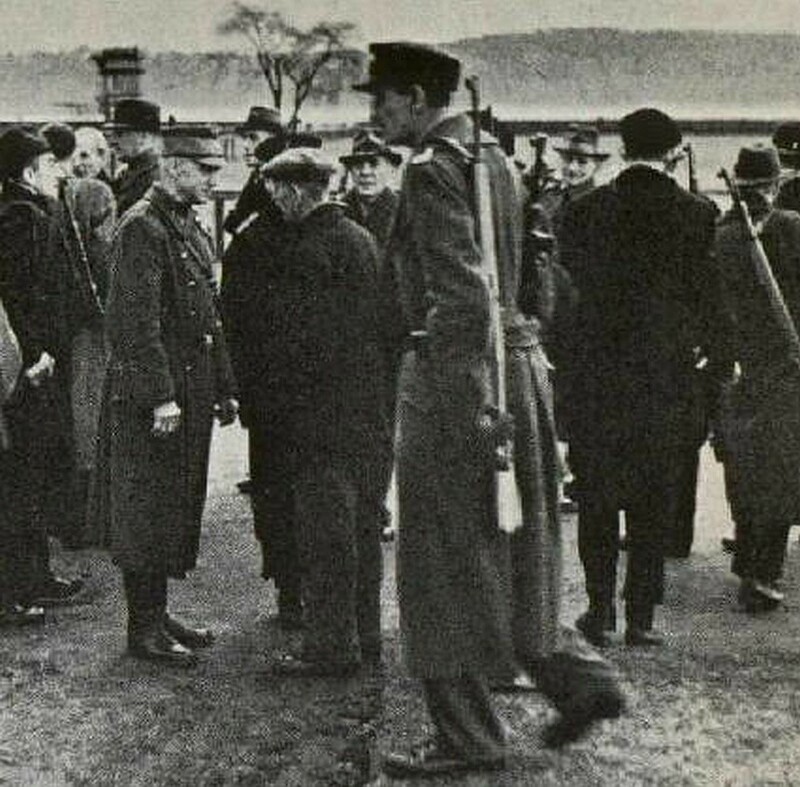 Soldier at bottom middle and possibly soldier just to the right of him holding G43s. 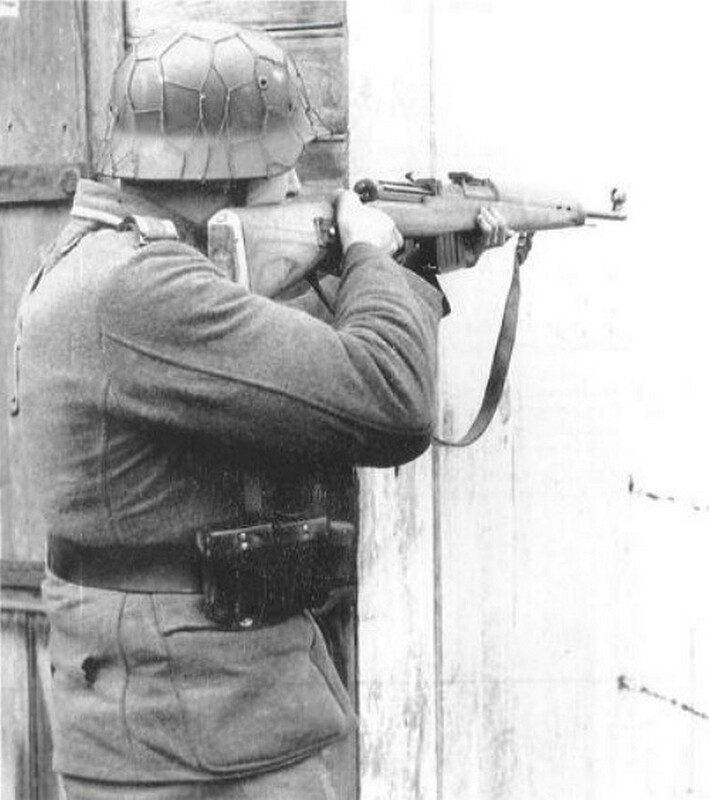 Note bolt handle on left – G43. 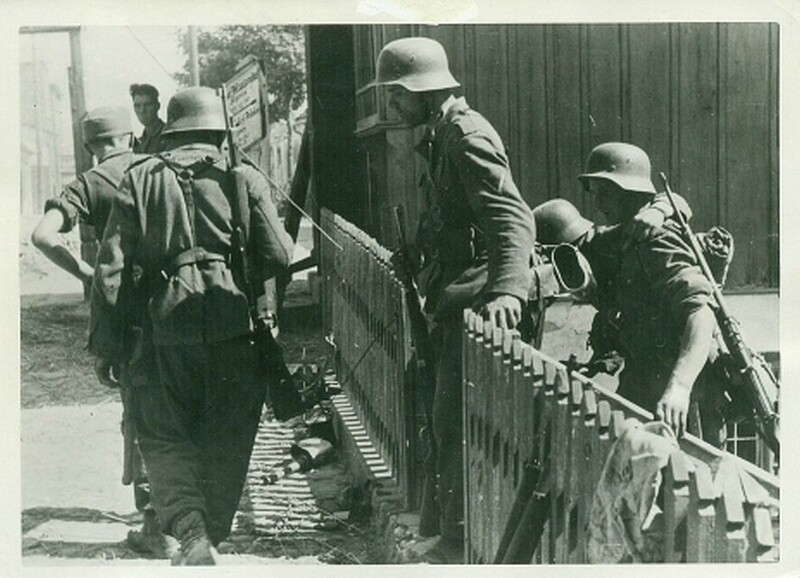 Soldier at bottom right holding G43. 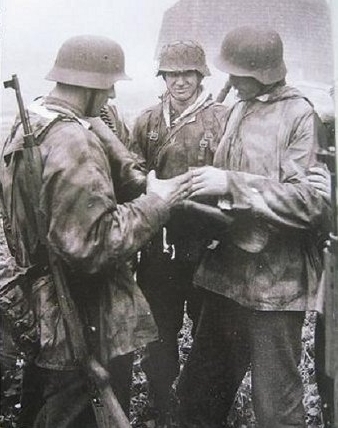 Soldier in middle holding G43. 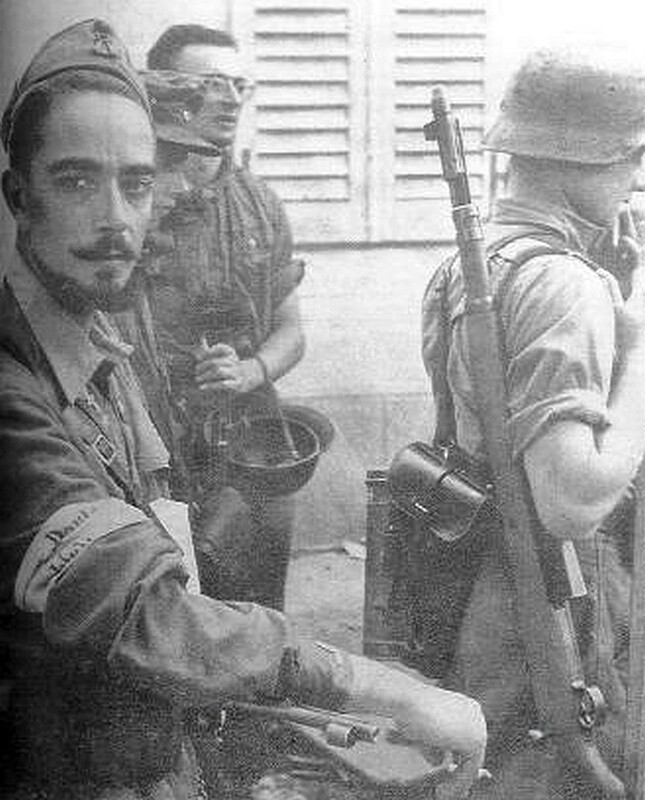 Soldier in the foreground has a G43 rifle slung under his arm. 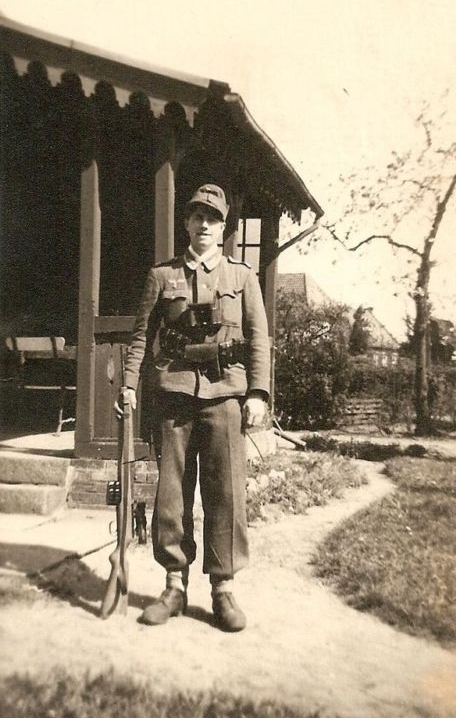 A very late photo showing Hitlerjugend carrying a variety of front line weaponry including a telescopically sighted K43, an StG44, and an MG42. 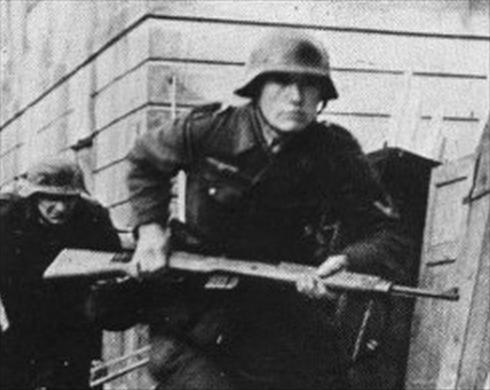 This image, now made famous by the new book Hitler’s Garands by Darrin Weaver, shows a running troop carrying his G43. 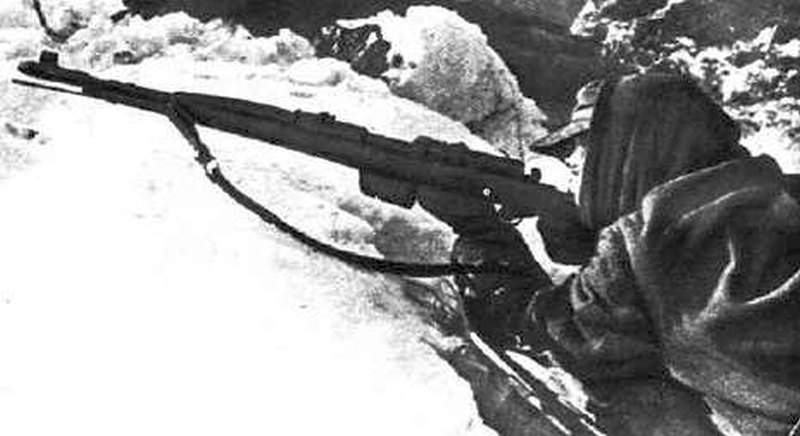 Notice the sight hood is already lost from this rifle! 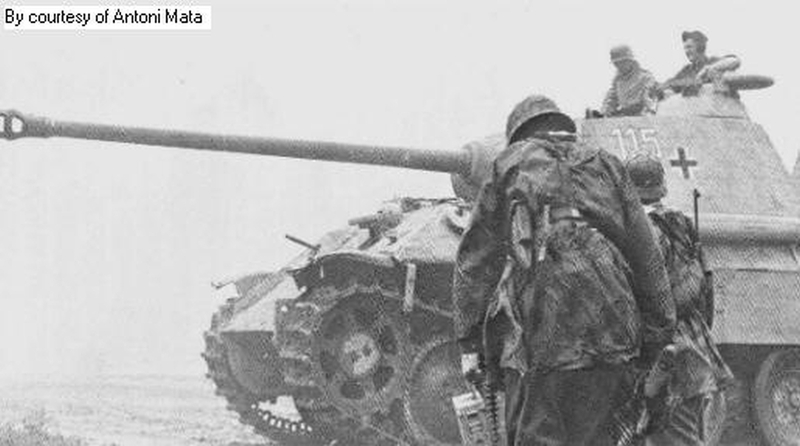 Soldiers heading toward a Panther tank, the rightmost of whom is armed with a G43. 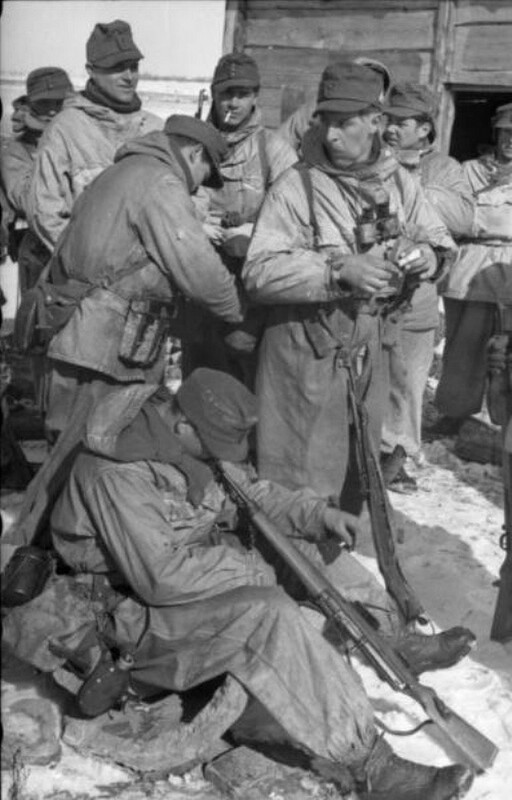 This soldier is surrendering several rifles, including three G/K43s to U.S. troops in 1945. 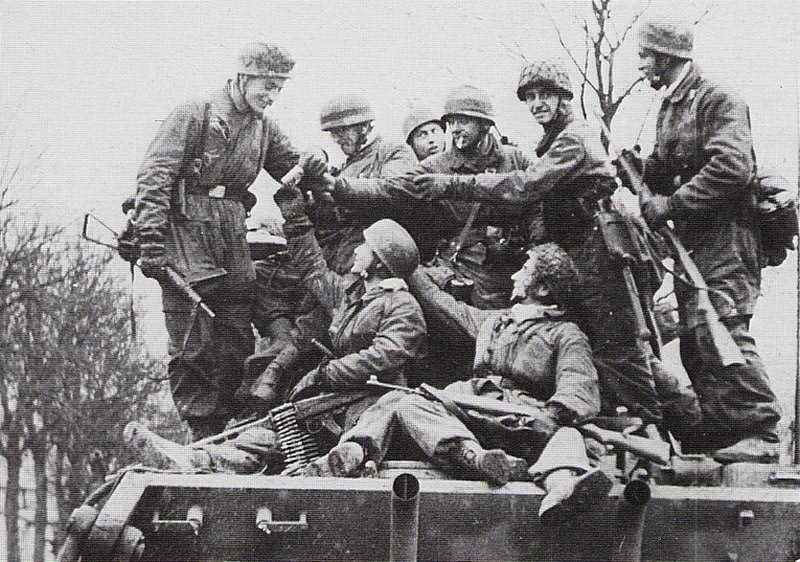 Handing a cigarette to his comrade, this Fallschirmjäger troop on the back of one of Joachim Peiper‘s King Tigers in the Ardennes, December 1944, is a member of the 3rd FJD, possibly FJR9. He has a G43 across his lap. 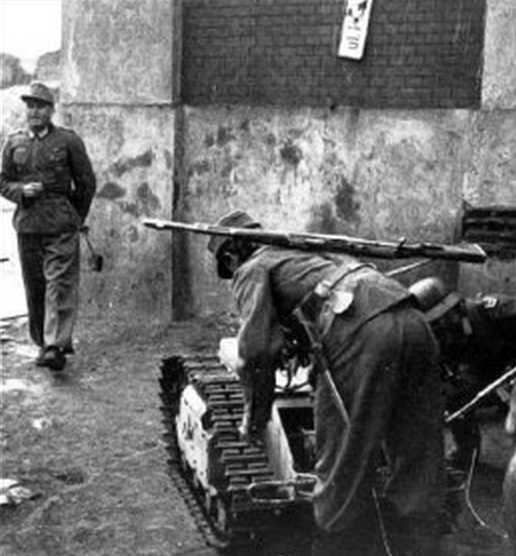 The soldier standing on the Tank to his right is also armed with a G43. 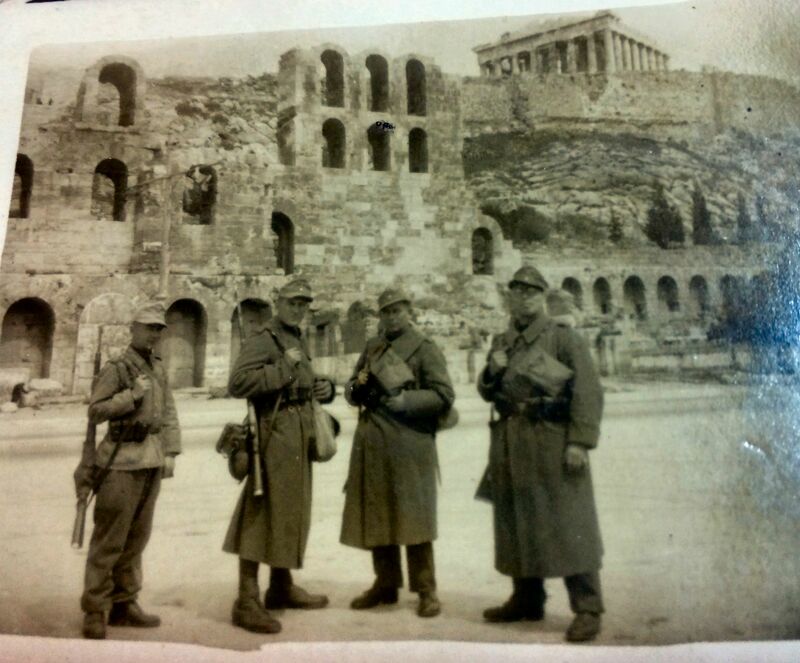 Same soldiers as in previous photo. 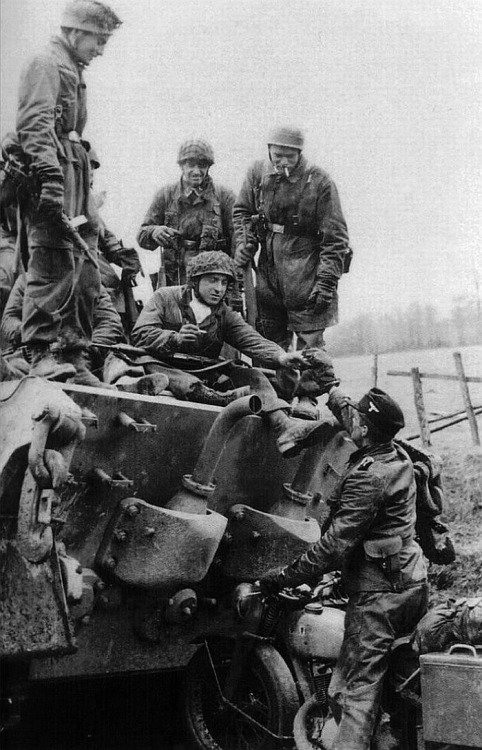 Soldiers at rest beside another tank, one of whom is unmistakably armed with a Gew43. 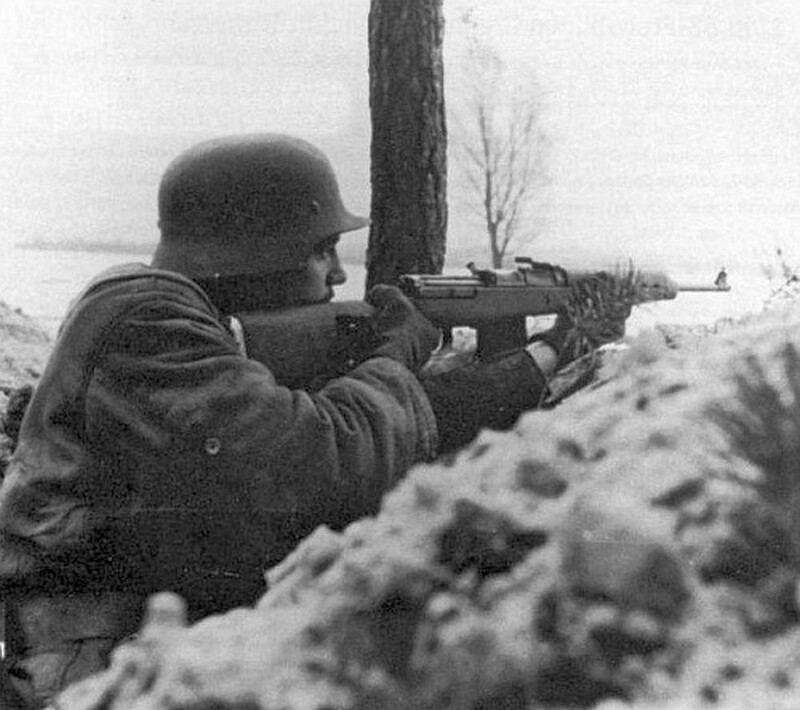 German ski troops in firing position armed with an StG44 and Gew43. Scoped G43. 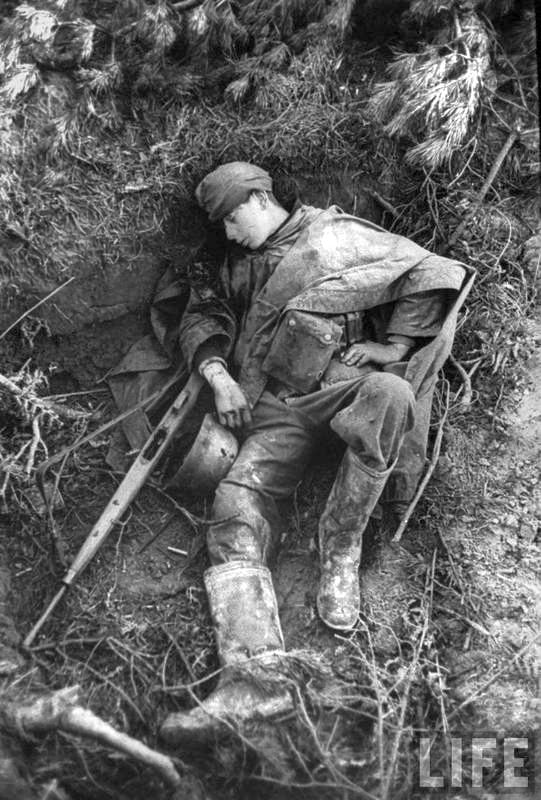 Note bolt handle to the soldier’s left. 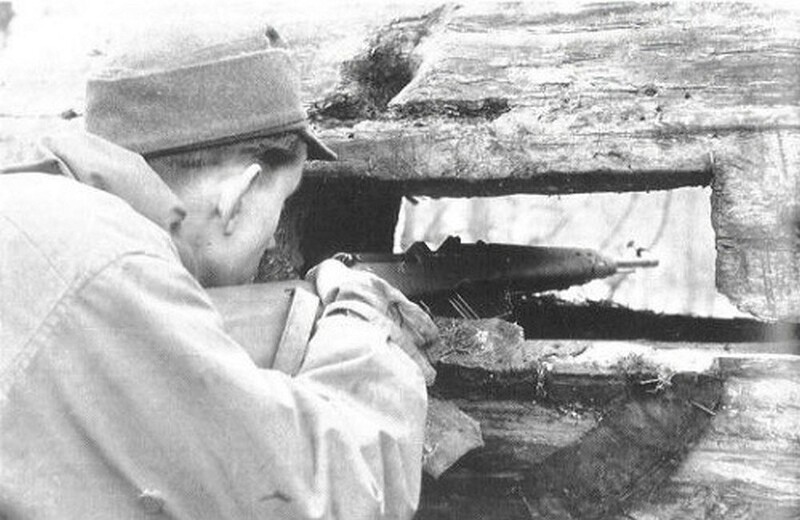 German NCO prepares to fire his Walther G43 with milled away scope rail from behind cover in Warsaw, 1944. 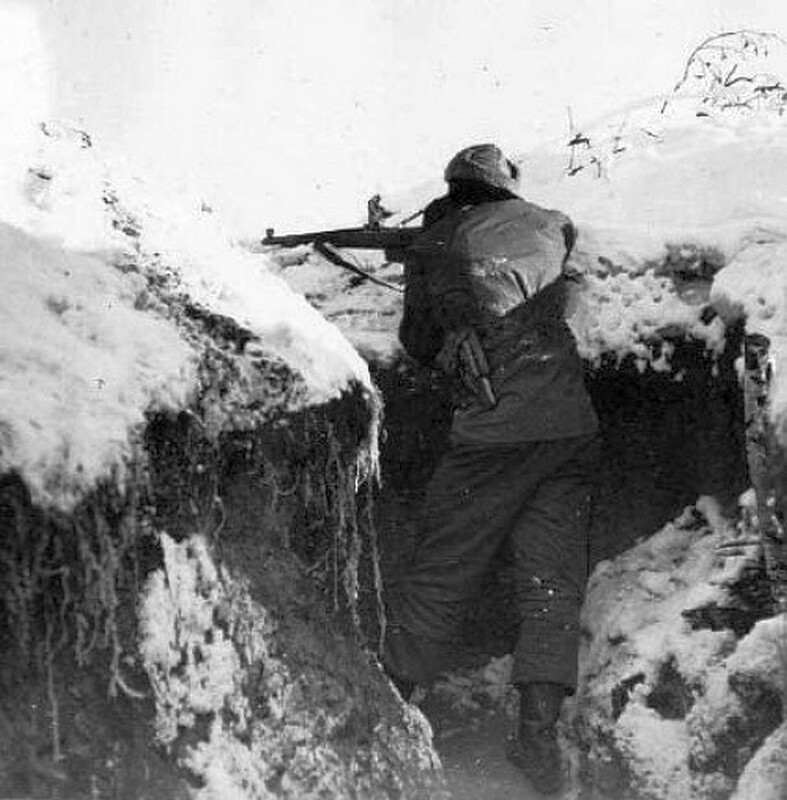 Soldier in Russia, 1944 readying his rifle in a bunker. The gun appears to be a Walther made example. 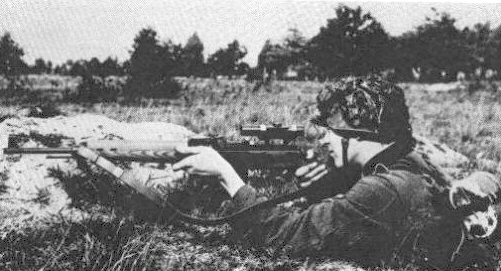 Note the lack of a takedown catch and un-notched scope rail from this “reclaimed” receiver. 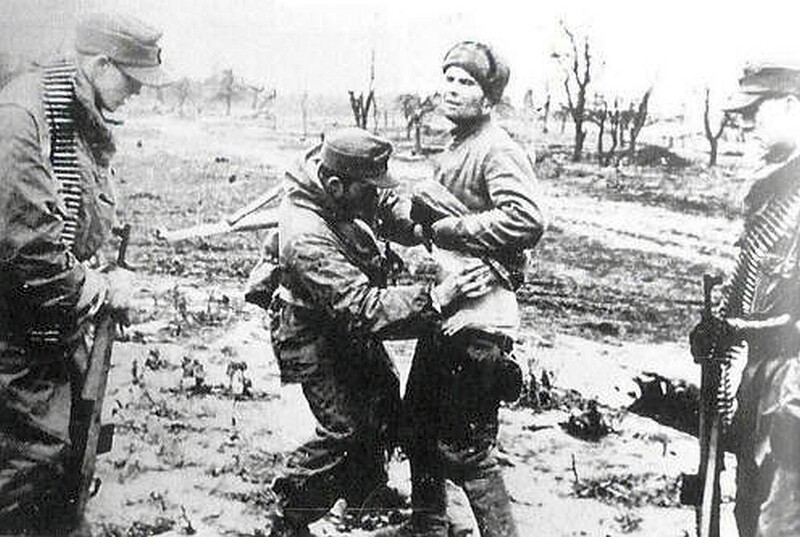 Two soldiers on the Eastern front armed with G43s look on as a Russian prisoner is treated for his wounds. 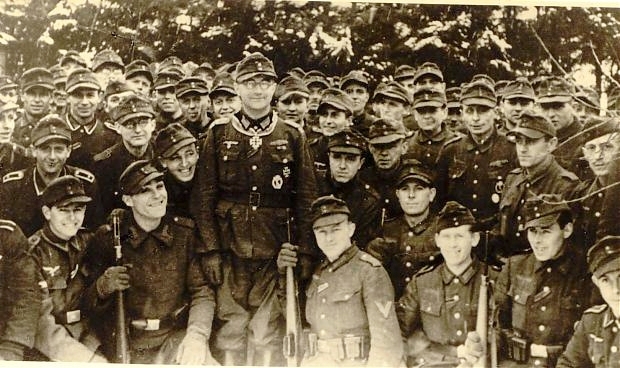 A retreating column of SS. 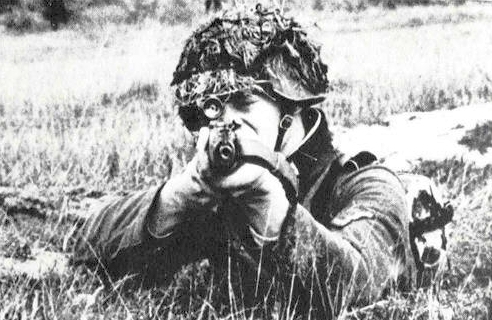 The last soldier in the column has a new G/K43. 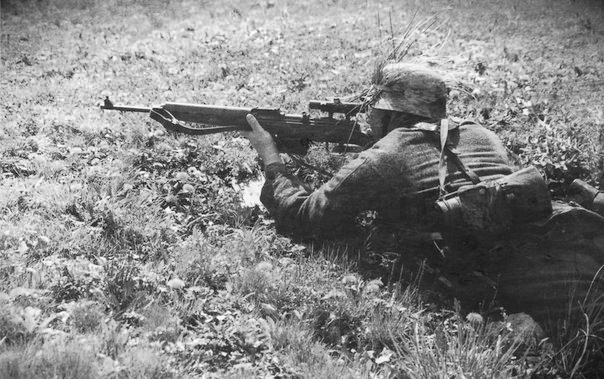 A sharpshooter of Panzer Grenadier Division Großdeutschland in the ruins of a Normandy, France home takes aim with his G43, June 16, 1944. U.S. troops one of whom is holding a G43 souvenir. Cpl. 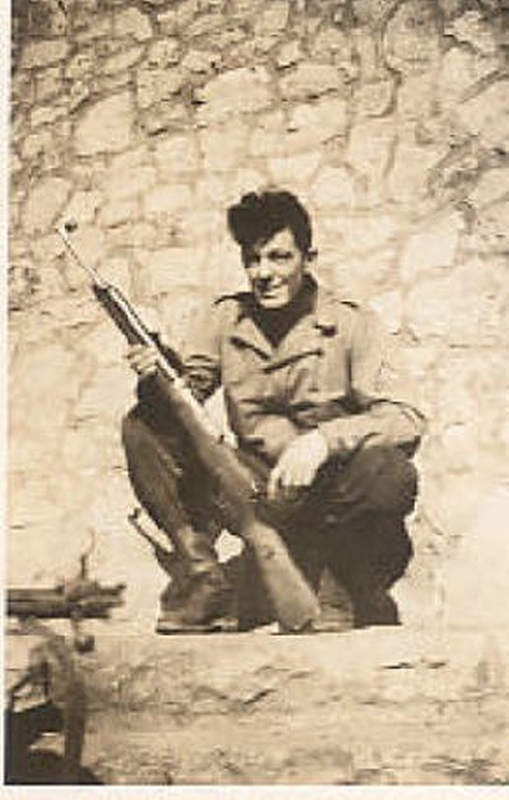 Ralph H. Green holding a DUV G43 he picked up in 1945. 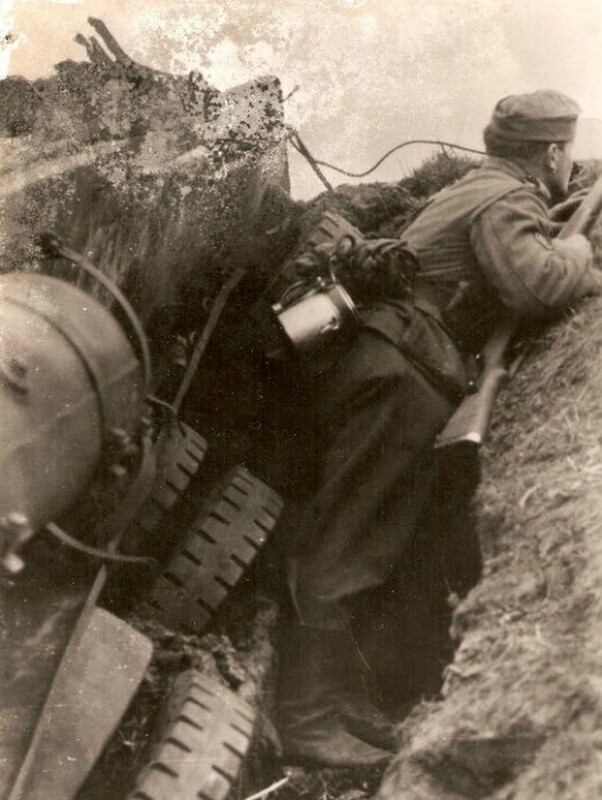 Volksturm one of whom has a K43. 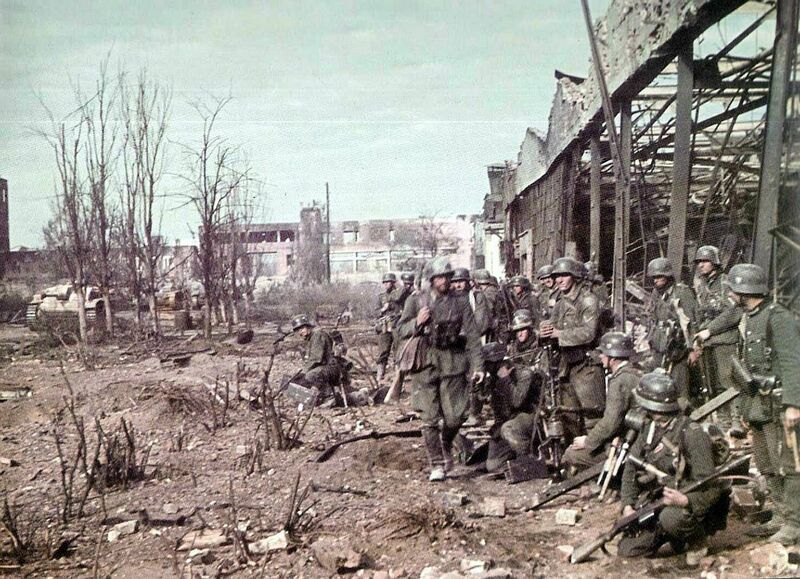 After house to house combat in Weichsal, September 27, 1944, these troops displace. 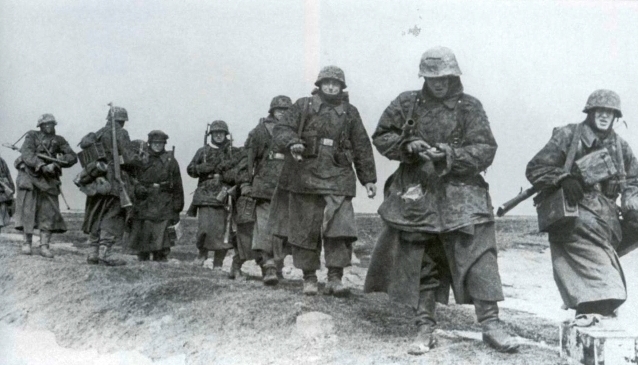 You will notice the soldier on the right carries a G43 with battle sights set and the safety in the ‘”on” position. 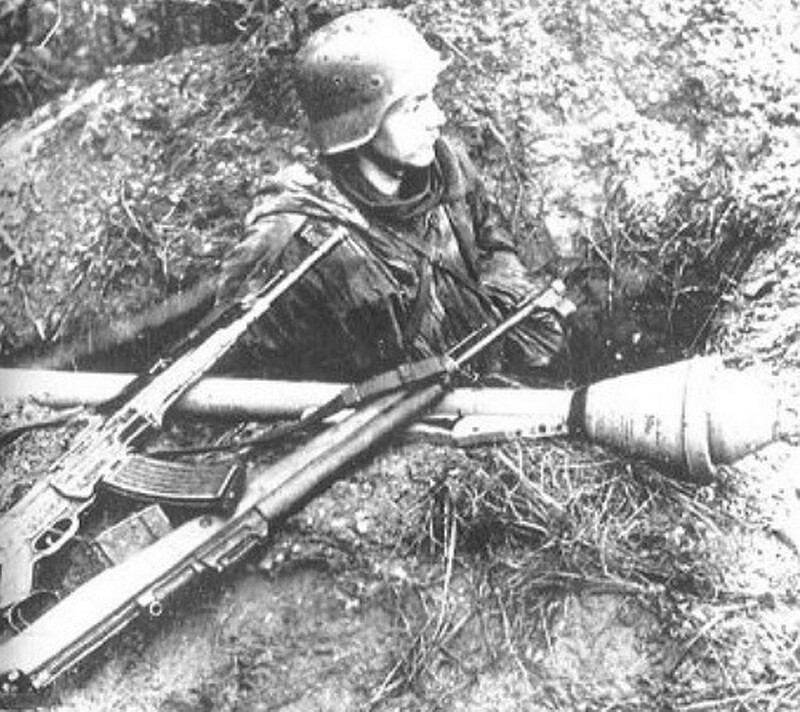 Soldier armed with BLM G43, StG44, and PanzerFaust in Hürtgen forest, December 1944. Soldier in 2. 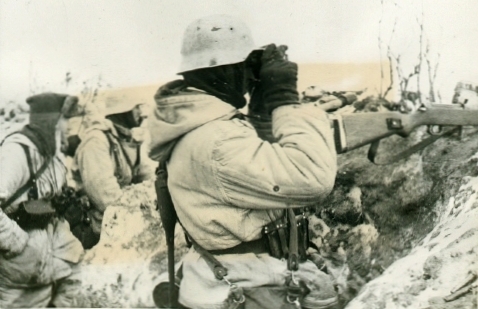 Marine Infanterie Division holding scoped G43. 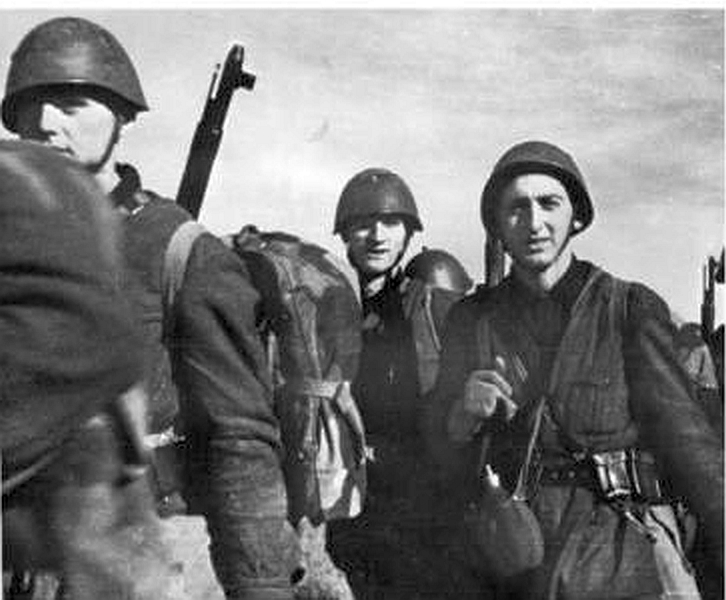 Soldier at left has G43 slung over his shoulder. 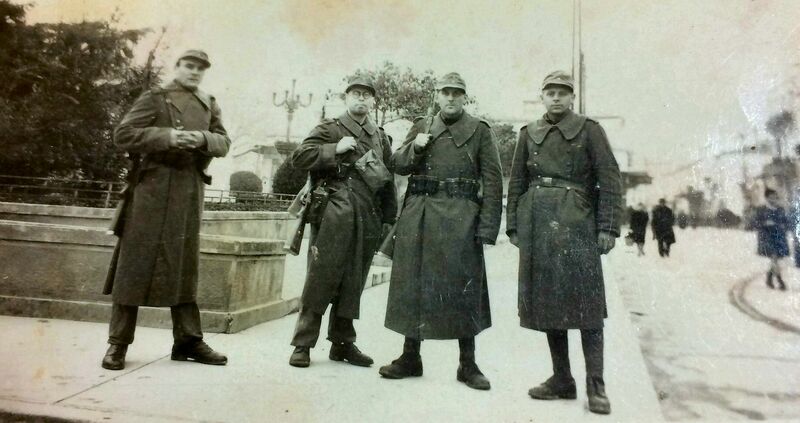 Note: possible that these are re-enactors? 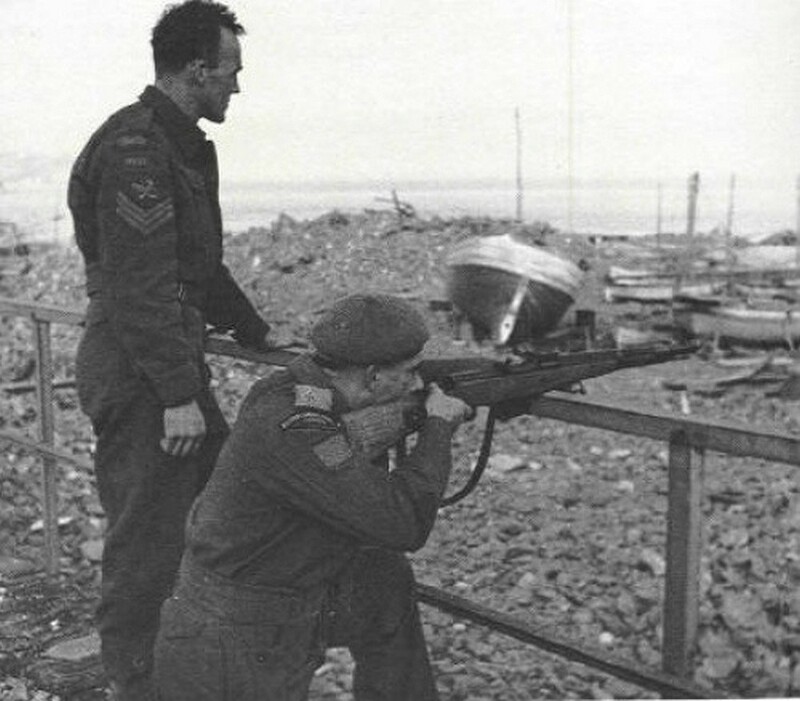 A sniper team (note the 6x binoculars and also the G43 magazine pouch) fire on allied aircraft with a G43 and K98k. 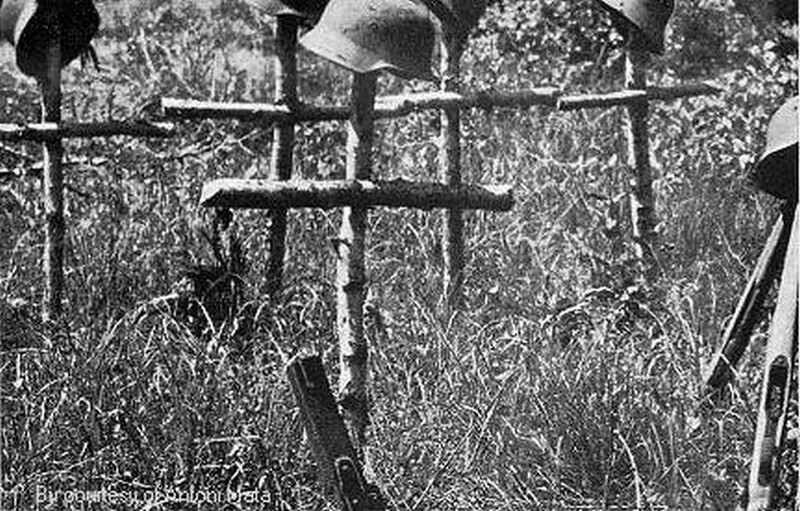 The graves of the fallen. 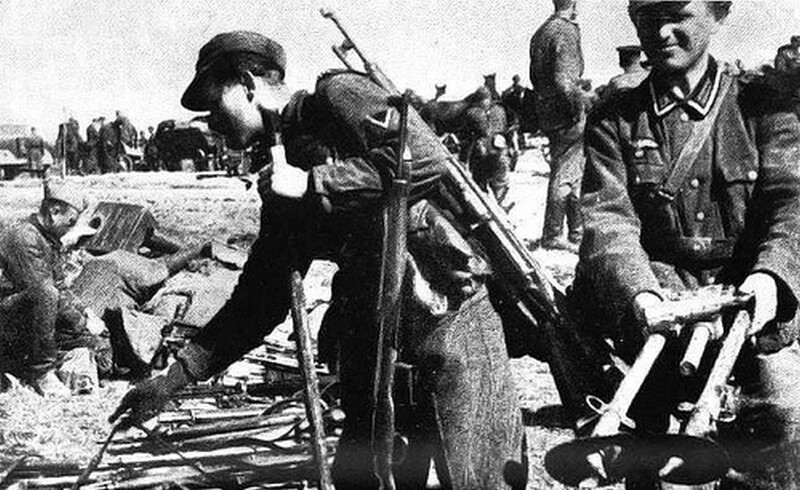 Note the G43 without magazine and bolt assembly at the rightmost grave.